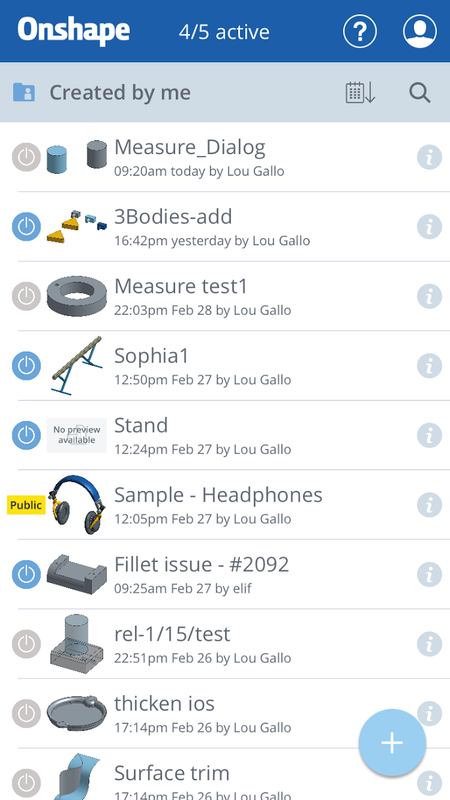 Another update was pushed today for Onshape mobile on iOS. This build has also been updated to be compatible with our subscription plans, which will be coming soon. This release also focused on updates to the feature dialog UI, toggles for sketch inferencing and collaboration cues in the Feature list like on the web. NOTE: This version (1.17) will be required to connect to Onshape once we enable the subscription plans. If you are already part of the alpha, you should have received an email about upgrading. We can now view Versions in read-only just like the web version. Polygon tool has been added. Users can now see collaborators in the Feature list. Today we turned on our subscription plans. For those of you who have prepaid, someone should have reached out to you and your Documents page should appear no different that it used to. Everyone else will see the below interface. 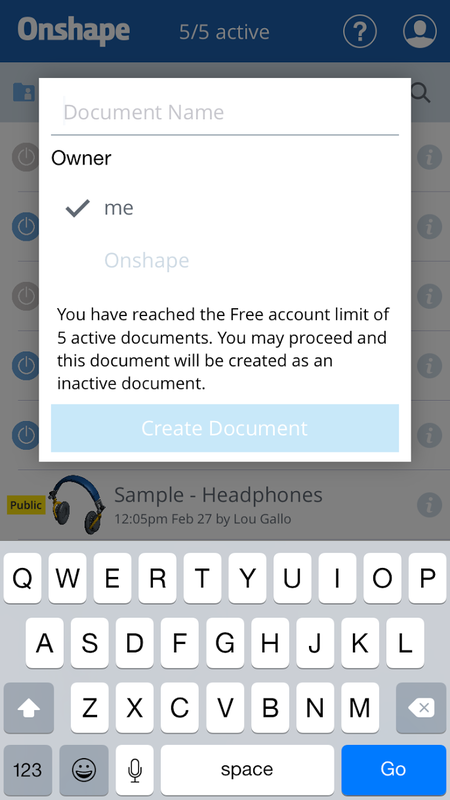 The Free plan will have the ability to access up to 5 private, active documents at one time. You have 5 tokens you can place on any of your private or "Shared with me" documents. NOTE: Currently you must toggle active/inactive from Onshape in the browser since it is not yet supported natively in the iOS app.